Enjoy this inside look at the nuts and bolts of Indy racing cars, as large and loud as life. Mario Andretti and his son Michael race in competition with cameras mounted on their cars, capturing the speed and heart-pounding thrills of racing in a way few films have ever attempted. Paul Newman is the narrator, but the stars are the cars. 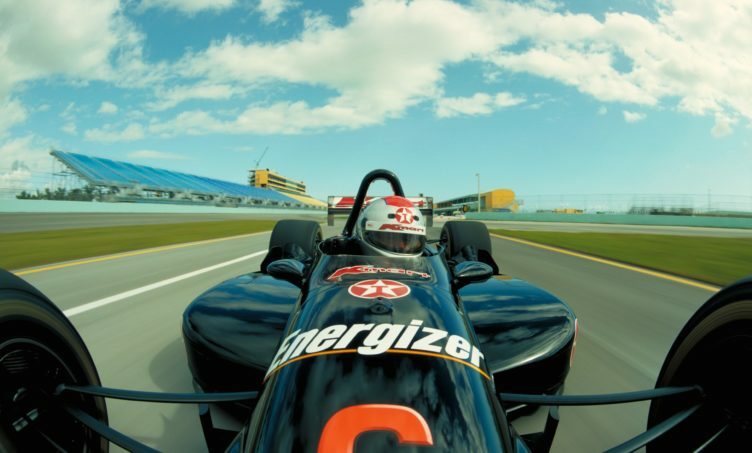 “Super Speedway” and many other experiential films were the first to be shown regularly in IMAX venues.